Surly Brewing is hoping to developing 8.3 acres of commercially-abused brownfield land in Minneapolis/St. Paul into the beautifully clean and attractive destination brewery above. Back in mid-April, Surly Brewing Co. closed on the purchase site for its “Destination Brewery,” announcing it would continue the next steps in developing a $20 million brewhouse, restaurant and more in Minneapolis/St. Paul. Well, now we actually get to see what those developments aim to look like (feel free to jump to the rest of the photos below). In April, Surly Brewing closed on 8.3 acres of land on the northeast corner of Malcolm Ave. and Fifth St. SE in Minneapolis (with a small portion of the site in St. Paul). It also developed partnerships with environmental specialists Barr Engineering and general contractor McGough Construction to help build the facility, which also happens to be a brownfield. But for Surly, it’s the ideal local. In May 2011, Governor Mark Dayton signed the omnibus liquor bill which included provisions for a “Taproom License” that allowed Minnesota breweries that produce less than 250,000 barrels (bbls) of beer to sell pints of their own beer on their premises. This law change meant Surly Brewing could move ahead to build its proposed destination brewery, featuring a bar, restaurant, beer garden and event center with the capability to produce more than 100,000 bbls of beer each year. 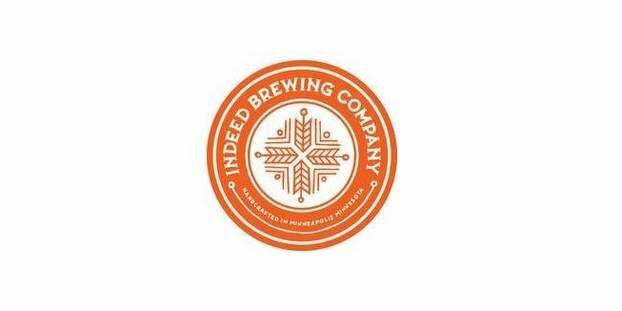 Once Surly knew it could build its destination brewery, it hired local real estate consultants TEGRA Group to help it find a suitable new home. Surly and TEGRA identified more than 80 possible locations in 30 cities around the Metro. In June 2012, Surly and TEGRA boiled down its options to a handful of viable sites, and the Malcolm Midway site was top of that list. 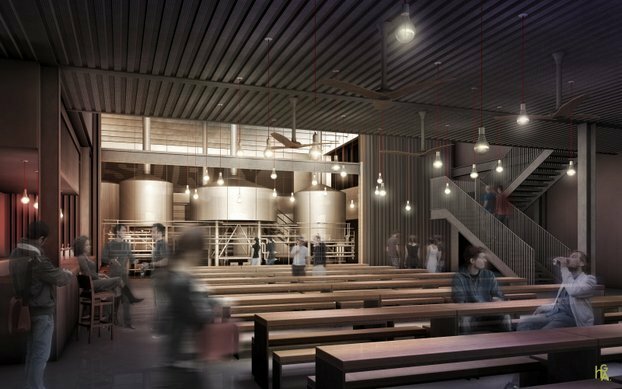 It is large enough to accommodate the infrastructure for a 100,000-bbls-per-year production brewery and potential growth beyond. It is also close to rail, road, bicycle lanes and the new University Avenue light rail line. The site requires environmental cleanup to accommodate the planned production brewery, beer hall and beer garden. Surly Brewing applied for more than $2 million in grants to assist in the cleanup. In January 2013, it was awarded grants from the Metropolitan Council, Minnesota Department of Employment and Economic Development and Hennepin County. To give fans an idea of what the final site will look like, the brewery released these photos last week.